This performance was part of The Peach Music Festival and took place on the Peach Stage. Face and Victim 3D featured Greg Sanderson and Josh Schwartz on saxophones and Chris Brouwers on trumpet. What a fun set! Mike clearly was in his element and having a blast. The energy coming from his person was noticeably stronger than during a phish set. 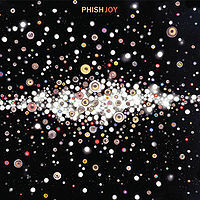 Highlights for me included Sugar Shack, which was played (I think) even better than Phish does, Marissa, Crazy Sometimes (It's been stuck in my head ever since BDoz! ), and then Face and Victim 3D (I think this was my favorite) with the Turkuaz Horns (who were a highlight of the entire festival). While I've only seen MGB 6 times in the last 6 years, this was still by far the best MGB show I've ever been to. I don't know if Mike is just super amped up from the Baker's Dozen still and brought all that energy and enthusiasm on tour with his solo band or what, but this show (while short) was SUPER tight and funky. Mike kept jumping up and down, smiles were on everyone's faces. It was definitely the funkiest MGB show I've ever seen. Not a ton of that weirdness that Mike loves so much, just tons of dancey, bass-heavy funk. I dug it. I'd never heard Tailspin before but really loved it. Sugar Shack was what everyone wants Phish's Sugar Shack to but it never is. Scott killed it. Peel was dark and great. Marissa was really pretty and I was happy to hear that after it didn't get played at the Dozen. The horn players from Turkuaz came out during Face to join the band which was awesome and they closed the set with Steps. Really looking forward to listening back to that set. Some really solid stuff in there. Good sign for the rest of the upcoming tour!